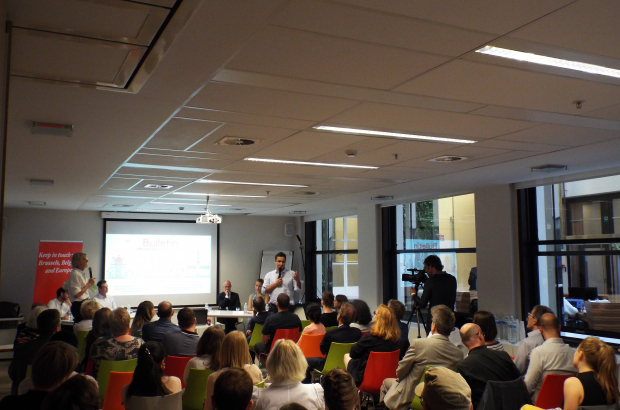 Mobility and citizen participation were the hot topics at The Bulletin’s Brussels Votes! event this week. The lively debate brought together politicians, candidates and first-time voters from the international community to discuss the big issues ahead of the local elections on 14 October. Though record numbers of non-Belgian have registered for October’s local elections, there are still large sections of the capital not engaging with local politics. How can the authorities better reach the people they are elected to serve and ensure they’re meeting their needs? The debate also touched on languages in public schools and teaching politics from an early age, restructuring Brussels’ multi-layered political organisation, interaction between the city’s diverse communities, compulsory voting and taxation. It was hosted by Science14 in the EU quarter and moderated by Belgian economist and philosopher Philippe Van Parijs.